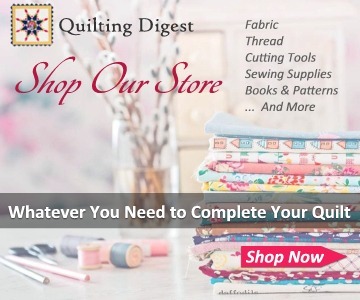 It’s a Great Gift for Quilting and Sewing Friends, Too! 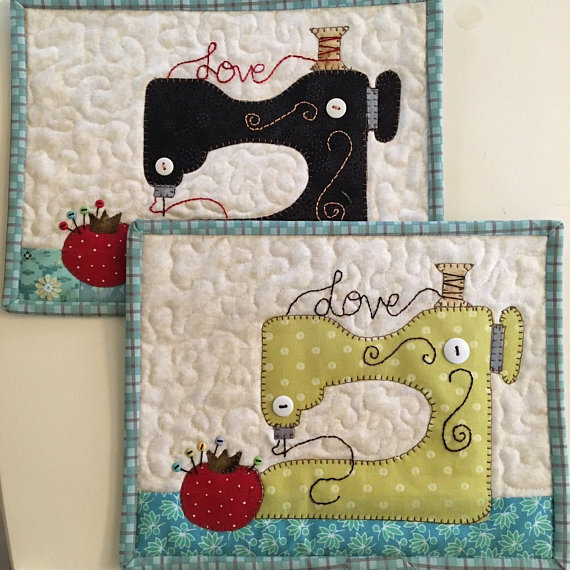 This darling little mug rug is perfect for the sewing room. 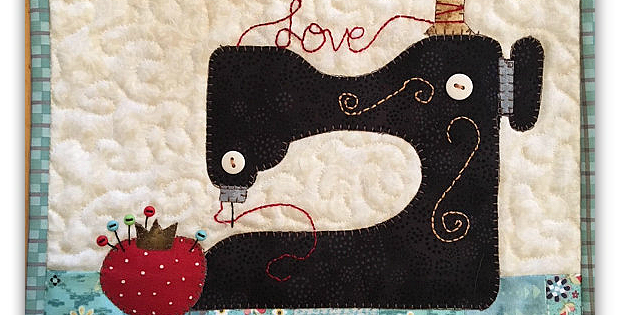 Keep it handy to place under your coffee, or hang it on the wall with other small quilts. 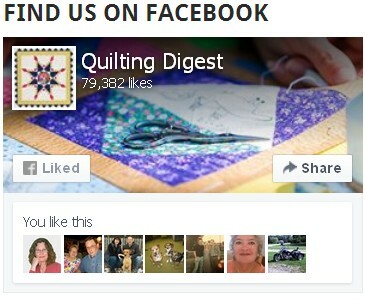 Or, take the pattern to a quicky printer and have them enlarge it to small wall quilt size. 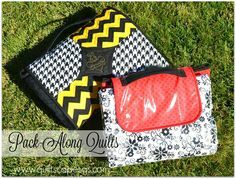 It makes a lovely gift for quilting and sewing friends, too. Wrap it up with a spool of thread, chocolate or other goodies you know they’ll enjoy. 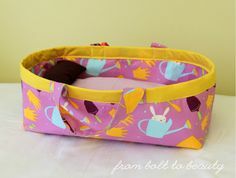 This is a great project for scraps. 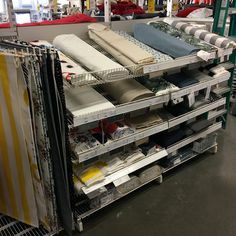 Have fun selecting fabrics that work well together. Start by making the machine a favorite color and go from there. 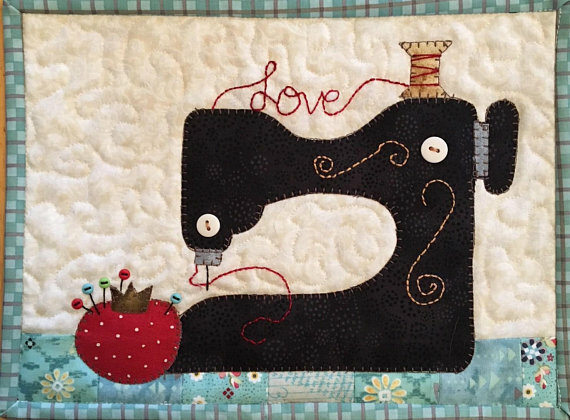 The finished size is not provided by the designer, Quilt Doodle Designs, however it’s perfect for a mug rug. 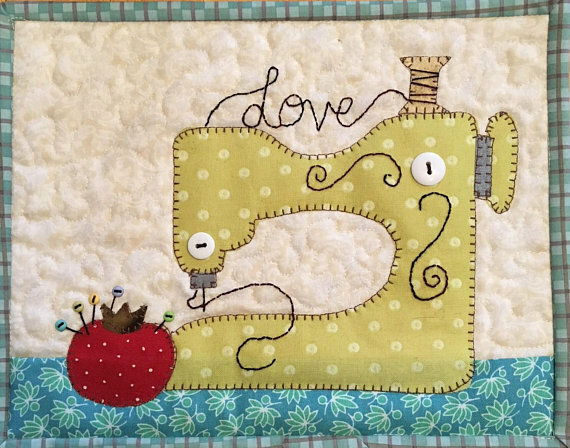 Click here to purchase the “Sew in Love Sewing Machine Mug Rug” pattern.